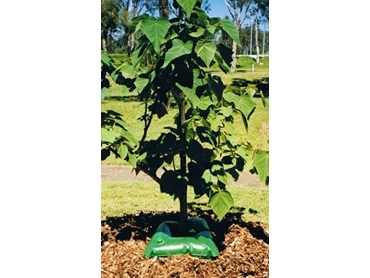 Eco Bag drip watering systems help save water and fertilise young trees for up to one month. They can be used when establishing new tree plantings in arid or isolated regions. Landscaped areas found at new estates, corporate planting, hospitals, and administration buildings. Parks and roads - drip watering systems can be used in median strips, embankments, and roundabouts.